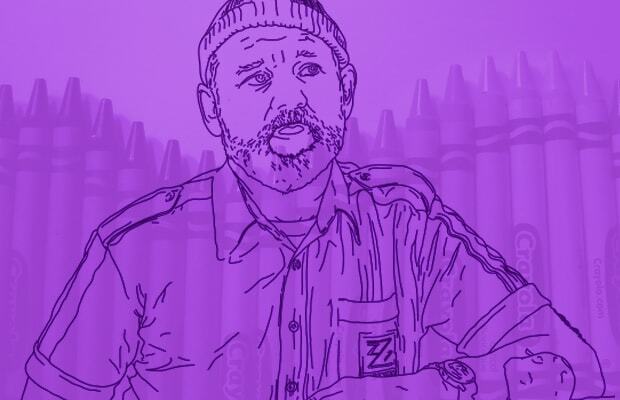 Coloring books may be associated with childhood, but it doesn't have to be that way. Sometimes we're tired of sitting around in our tuxedos, and drinking Scotch, and listening to Rich Homie Quan, OK? We just want to channel our inner child and pull out our 64-color Crayola markers to color outside the lines. Maybe we'll go draw some chalk on the sidewalk. Thanks to the Internet and its expansive resources, it has become much easier to get your hands on a coloring book that caters to your needs. This includes interests that may not have interested you when you were a kid, like hip-hop and hangovers. We understand that these kinds of books are not the kind of things that you would buy for yourself when you're visiting the local bookshop, but isn't that exactly what the holidays are for? Asking your friends and family to buy you things that you don't need or can't afford? Forget about any social stigmas and check out these Adult Coloring Books You Should Not Be Ashamed to Want for the Holidays.